If you are not currently aware of the dangers of Statism, then you are either Rip van Winkle (and I hope you have enjoyed your nap) or Robinson Crusoe (in which case, stay where you are). No doubt there is always lots of political debate, and the American people differ greatly on how political and social issues are to be handled. Even people with lots in common still differ. Even politically conservative Calvinists disagree with one another. There is a place in the Christian community of thought and action where believers need to examine the big picture. Too often the fight is over dearly held principles and applications that prevent us from forming a wide coalition to combat our enemies. There are a times and places for red-in-the-face arguments over Transubstantiation, Barthianism, Constantine, and the Two-Kingdom View of theology; however, there are times when people need to dig trenches and prepare to do battle with common enemies. A decline from statehood to statism happens when the government is perceived as or claims to be the ultimate reality. This reality replaces God as the supreme entity upon which human existence depends. Notice that Dr. Sproul is giving a theological foundation for his explanation of Statism. This is entirely appropriate, and here even an unbeliever should nod in agreement, because the battle between Statism and Biblical Christianity is primarily a religious battle, not primarily political. It concerns ultimate reality rather than particulars in the social order. Statism and Theism (which we will use for the term Biblical Christianity) are both philosophies or worldviews. The suffix “ism” denotes that we are not just talking about whether there is or should be a political state or religious beliefs. “Ism” means that the noun preceding the suffix is implied to be a foundational set of beliefs. In many cases, such beliefs are ultimate, all defining, non-negotiable, and unchanging. Statism as a term can get us past some issues and terms that only fog up political talk. “Republican” and “Democrat” are such terms. I don’t mind admitting, proclaiming, and even boasting of being a Republican (much to the dismay of my deceased Southern ancestors). Words to the effect that God is or is not a Republican or Democrat are juvenile. (His political party is Monarchist.) Even the terms Liberal and Conservative are inexact. They are like the words “tall” and “short.” They are relative to the particular topic being discussed. “That tree is tall” and “that man is tall” mean different things due to context. Thomas Jefferson, Alexander Hamilton, Andrew Jackson, Winston Churchill, Theodore Roosevelt, Harry Truman, and Ronald Reagan can all be praised or darned for being either liberals or conservatives, depending upon how we use the words. As a Ronald Reagan conservative, I can applaud many leaders of the past who were considered for various reasons to be liberals. All too often, folks on my side of the political spectrum demonize all people who have been labeled as liberals. Demonization of people and parties doesn’t help create clear thinking or political possibilities for change. Lyndon Johnson’s convictions about civil rights were right. Harry Truman’s distrust of Communism was correct. George McGovern’s war time service in World War II was heroic. Statism is the issue. Even when we recognize that the particulars of how the body politic is to be run, Statism needs to be the common enemy. Just like George Kennan and Paul Nitze disagreed over details but were both Cold Warriors, so should anti-Statists be united as much as possible. For this reason, I want to call attention to two very important books describing and warning against the dangers of Statism. 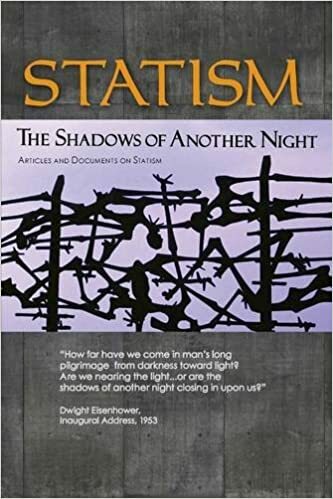 Statism: The Shadows of Another Night, published this year (2015) by Tanglewood Press and distributed by Fortress Book Service (and sold on Amazon) is an outstanding collection of essays on the topic. Edited by Charlie Rodriquez, this collection includes articles and documents by former Presidents Dwight D. Eisenhower and Ronald Reagan and by Christian writers, such as Timothy Keller, Francis Schaeffer, C. S. Lewis, R. C. Sproul (whose essay was referenced above), John Frame, and George Grant. If for no other reason, this book is good as a way to get introduced to some of the most insightful Christian writers of the present time and the recent past. But the relevance of this book is the topic. The tenacles of government reach further and further into our lives. Governmental overreach today makes the New Deal programs of the 1930s look like libertarianism, by comparison. Republicans, and it is both the fault of Republican leaders and us–the voters, do or attempt very little to curb Statism. But even when it is hinted that a Republican might slightly oppose more, more, more regarding gov’mint programs, they get the ax at the polls. This is why the foundations need to be rediscovered or rebuilt on the concept of opposing Statism. This book, and most likely the follow-up volume coming out later this year, is a gold mine for clear Christian political thinking. 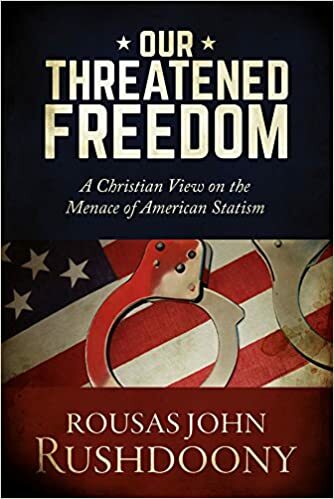 Our Threatened Freedom: A Christian View on the Menace of American Statism by Rousas John Rushdoony, published by Chalcedon/Ross House Books, is another great read. This book, which came out in 2014, had an interesting origin. Originally, Dr. Rushdoony gave a series of short radio talks during the time between 1980 and 1983. The texts were in the mounds of writings still being sorted through and published by Rushdoony’s family and Chalcedon Foundation. However, Byron Snapp, a friend and long-time Christian leader at Calvary Reformed Presbyterian Church in Hampton, Virginia, still had the cassette recordings of these talks. Now, over 30 years old, these essays are still relevant to the issues surrounding us. Rushdoony’s ideas have been examined in Michael McVicar’s book Christian Reconstruction: R. J. Rushdoony and American Religious Conservatism, which I have reviewed in a previous post (with more to follow). Rushdoony was one of the most widely read men of all time. He basically read a book a day for decade after decade. He took careful notes, annotated his books, and stored a virtual warehouse full of knowledge in his mind. If Rushdoony didn’t remember something, he still had the books and the notes. Rushdoony’s political philosophy was based primarily on his application of Cornelius Van Til’s presuppositional apologetics to Scripture. Basic to all of life, God is Sovereign and He has spoken in His Word. Since God is the center and foundation for every area of life and thought, all institutions have to submit to God and take their God-appointed places. Rushdoony borrowed from, but did not reproduce Abraham Kuyper’s concept of Sphere Sovereignty. With the Bible as the grid, the touch stone, or foundation, Rushdoony assembled his political ideas from his reading of world and American history. He garned concepts from the Founding Fathers, from Federalists and Anti-Federalists, from conservatives, libertarians, Catholics, Protestants, Austrian economists, and real life experiences in the pastorate which ranged from an Indian reservation to several churches. The advantage of these essays is their brevity. Also Rushdoony repeated and reinforced the same themes concerning freedom and opposing Statism. His then-current reading on the issues of the day would be used as springboards to the greater topic of freedom. Thankfully, we can assemble whole bookshelves today full of books warning against Statism. Ideas have consequences, and we are experiencing the consequences of Statist ideas. There is a lot that Christians need to be doing, and fortifying our minds through books is a vital part of the process. Banner of Truth has done it again. They seem to think that if they reprint enough good Christian books from the past, God is going to bless their ministry and those who read the books. And, they are right. How many times in this blog and in my life have I praised Banner of Truth books? If my memory serves me correctly, the first Banner book I read was The Forgotten Spurgeon by Iain Murray, which I read in the late 1970s. That was an eye opening great read. 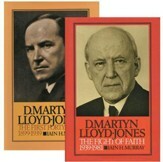 A life changing read was the two volume biography of Martyn Lloyd-Jones, again by Iain Murray. Along with lots of biographies, histories, and theological books, Banner has largely focused on books in the Reformed and Puritan tradition. With avid theology book collectors like Dr. Lloyd-Jones, S. M. Houghton, and Murray, lots of books that were lying around in musty parsonages, unnoticed library shelves, and unsold stacks in used books haunts throughout the United Kingdom were found, read, and reprinted. The result is that a serious reader can find incredible numbers of books from any century from the 1600s to the present day than ever before. Martin Bucer, 1491-1551, pastor, theologian, reformer from Strausbourg, Germany. 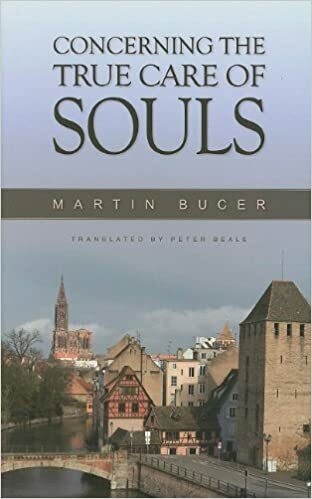 A great example of Banner’s work is the book Concerning the True Care of Souls by Martin Bucer (pronounced Boot-zer). We often think of the Reformation as the work of Luther and Calvin with a few names, like Zwingli or Knox thrown in. Often, fellow Reformers like Bucer or Henry Bullinger get billed as part of the background chorus of the earth shaking events of the 1500s. But a closer look at the history and writings shows that Protestants could have been called Bullingerists and Bucerians rather than Calvinists and Lutherans. In the past, this particular volume by Bucer was available in German or Latin, but it is now available in English, thanks to Peter Beale. For students of the Reformation, this is an important primary source document. But its value is far beyond that of mere historical research. This book is a how-to manual for pastors and elders. The great Reformation doctrines like Justification by Faith and the actions such as putting Bibles into the hands of the people were great, but inadequate. God established churches as means of ministering to and building up and protecting those who name Christ. The German word Seelsorge is translated as Soul Care. Pastors and elders are in charge of soul care. Bucer said, “the faithful ministers of Christ must not lightly give up on anyone.” The book begins with the importance of churches having multiple elders. These men are to use their varied gifts to see to the spiritual needs of the congregation. 1. “To lead to Christ our Lord and into His communion those who are still estranged from him.” This translates as evangelism. Evangelism often involves apologetic work as well. Often we Calvinists like apologetics, that is, answering unbelieving worldviews, better than outright telling people about Jesus. Both are needed. Both are soul care. 2. “To restore those who had once been brought to Christ and into his church but have been drawn away again through the affairs of the flesh or false doctrine.” Anyone living in the Bible-Belt American South knows this well. There are lots of people who grew up in church but who abandoned the faith. Soul care means calling upon, convicting, and exhorting those straying sheep. 3. “To assist in the true reformation of those who while remaining in the church of Christ have grievously sinned and fallen.” I have often said in and out of the pulpit, and need to personally be reminded, that the church is not a fitness center. It is an emergency ward in the hospital. It is not for those who have qualified for the Olympics; rather, it is for those who are the spiritually unfit. From Hawthorne’s Scarlet Letter to lots of very real examples, churches have not always been friendly to fallen people. 4. “To re-establish true Christian strength and health those who, while persevering in the fellowship of Christ and not doing anything particularly or grossly wrong, have become somewhat feeble and sick in the Christian life.” Wow! This hits close to home. This so describes where so many of us are, or have been, or will be. We may not be worshiping false gods or getting drunk, but our spiritual walk has become a crawl, at best. 5. “To protect from all offense and falling away and continually encourage in all good things those who stay with the flock and in Christ’s sheep pen without grievously sinning or becoming weak and sick in their Christian walk.” This is a great reminder that even the strongest and best Christians still need to hear, be taught, be reminded, and shepherded. The book takes each of these five areas and devotes attention to ministering to people whose lives fit each category. The longest chapter in the book (Chapter 9) is called “How the Hurt and Wounded Sheep are to be Bound Up and Healed.” It is an elaboration of the third point above; that is, it deals with people who have sinned and fallen. Bucer uses the word “penance” quite often and freely in this section. At first, I thought he was still holding on to some Roman Catholic theology. As one reviewer noted, “penance” might not be the best word to have used. But Bucer’s discussion is worthwhile. Too often churches have one of two inadequate responses to sin. On the one hand, some simply forgive and forget. On the other hand, some excommunicate and forget. Bucer’s focus is on restoration. Sinners sometimes have to pay a price, even from those who have forgiven them. The person who steals money should not be forgiven and put in charge of the church treasury. Time, testing, and discipling are needed. I know from personal and pastoral experience that this is not easy or pleasant. But it is seelsorge or soul care. Bucer’s book is not one that will delight you with its wit, style, or illustrations. Often, it is Scripture verses followed by plain application. The content is unadorned and plain spoken. That is what was needed in Bucer’s day. Likewise, it is what is needed in our day. My interest in history began with World War II. After reading some books and watching some documentaries, I decided–in my 9th grade year–that I was going to be a history teacher. I never deviated from that course. For a couple of years, I read extensively on that war and on particular generals and key figures. As the years went by (now decades! ), my interests in history broadened, focused on other areas, and expanded way beyond the Second World War. Yet, I still tend to read several books each year on that defining Twentieth Century event. As great as my interest is in the war, I teach very little about that war. In part, it is because WWII comes along in the history course sequence too near the end of school. Either there is not enough time to do it justice or student interest crashes due to summer vacation’s nearness. 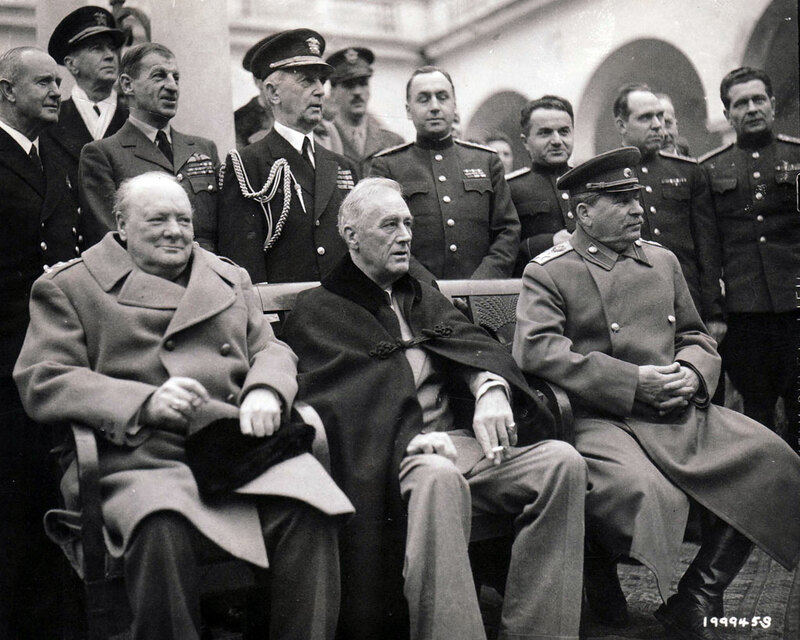 There is another hesitation: World War II has become too big for me to teach. I am far from an expert, but I could easily devote a whole semester to dealing with that war and would still likely not get to many of the battles and key people. 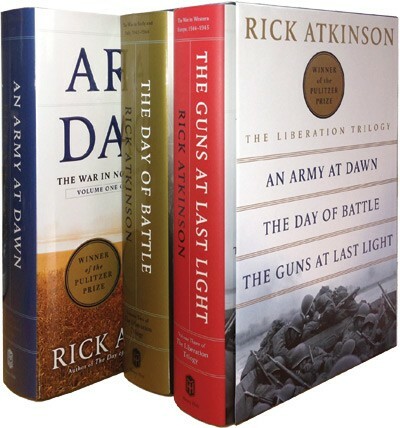 I finished reading Volume 3 of Rick Atkinson’s Liberation Trilogy, Guns at Last Light: The War in Western Europe 1944-1945 last night. I read and reviewed Volume 1, An Army at Dawn: The War in North Africa 1942-1943, in 2010 (click here). I read and reviewed Volume 2, The Day of Battle: The War in Sicily and Italy 1943-1944, in 2013 (click here). Finishing the set gave me both a sense of accomplishment and sadness. I rank Atkinson’s books alongside Shelby Foote’s Civil War as must haves and must reads for students of American and military history. Along with Cornelius Ryan’s older 3 volumes on the European campaign (The Longest Day, A Bridge Too Far, and The Last Battle), Stephen Ambrose’s D-Day: June 6, 1944 and Citizen Soldiers, Max Hastings’ Armegeddon, Gregor Dallas’ 1945–The War That Never Ended, and John Toland’s The Last 100 Days, Rick Atkinson’s books pass muster and yeild great rewards for the reader. When I was really young, World War II stories left me saying, “Wow!” Now, they leave me saying, “How?” I am not simply using a silly rhyme, rather I am reflecting on the unbelievable nature of that war. I cannot answer the question of HOW men endured, faced, and even triumphed over the magnitude of death, destruction, danger, and evils in that war. Since I grew up around World War II vets, I feel the great gap between the way they rose to the challenges of their time and the inability I would have in their places. On several occasions, Atkinson rattles off lists of supplies. The sheer cost of the war, the amount of stuff that was made, shipped, unloaded, and used is astounding. Bullets and cigarettes, tanks and shoes, trucks and eggs, maps and bandages were mass produced to supply the American, and in some situations, the British and French armies. In many places, descriptions are given of multiple tons of bombs being dropped on cities or strongholds. Add the artillery shelling to the bombing. You wonder if reading the book is going to damage your hearing. Two main questions kept running through my mind while reading the book: How did the Allies win? And, how did Germany keep fighting for so long? 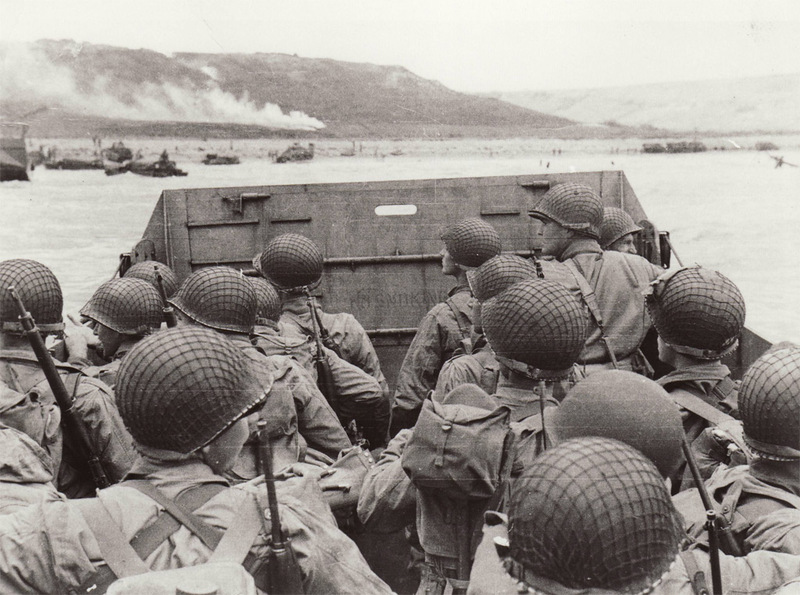 Starting with the Normandy invasion, which is in the first part of the book, there were paratroopers who landed in the wrong places, unexpectedly strong defenses and obstacles at many of the landing beaches, bad weather before the invasion, and miscalculations and blunders by leaders at all levels. But Normandy ranks as one of the great victories of all times. Warfare involves intricate planning that then turns into a series of recalculations and adjustments when the shooting begins. It was the immensity of the forces that enabled the Allies to cling to the beaches and begin expanding the beachheads. Add to that, no, put in front of that, the sheer pluck, bravery, and dedication of those who jumped off those landing crafts and began trudging up through the water, mines, and dead bodies–all the while being under intense fire–to take the heights. Lots of studies have examined Allied deceptions (which succeeded), the first days of the landing, the near impossible achievements, the sufferings of the French villagers, and the German defenses. Thankfully, the two incredibly apt German commanders, Von Rundstedt and Rommel, were both hindered by Hitler’s orders. Thankfully, some of the German forces were sub-par. (Actually, some were Russians who had been forced into serving in the Wermacht.) Thankfully, the Allies largely controlled the air. Any alternative “what if” speculations about Normandy are frightening to consider. It is hard to imagine how the war would have gone if Normandy had failed. While the Allies knew it was not a sure thing, they ruled out failure as an option. But the next great obstacle came after the beaches were secured. For the first month or so, the war in Normandy turned into a trench by trench, hedgerow by hedgerow war of little movement. It resembled the near stationary conditions of much of World War I. The Allies could have won a war of attrition, especially since the Russians were chewing up German armies on the eastern front, but it would have taken a lot longer and cost more lives. The Allied breakout, Operation Cobra, led to a reverse of the German blitzkrieg in France in 1940. Allied armies swept across the nation and sent the German army into retreat. Some time later, the second French landing, this one in southern France, took place. That campaign is often largely overlooked. The American general in charge there, Lucian Truscott, is not usually given adequate attention and praise. It was not long until the war shifted from both the northern and southern beachheads in France to the eastern border of France. Germany suffered a major defeat in the first months following D-Day. The Allied armies quickly locked together in a line relatively close to the border of Germany. Talk began emerging–from soldiers in the trenches to the high command–of the war ending by Christmas of 1944. It didn’t happen. Germany was wounded, but not killed. The time from about October of 1944 to the spring of 1945 is one of the most difficult periods to read about. Germany’s defenses and refusal to yeild ground was intense. Meanwhile, the Allies fought all manner of internal battles. Keeping the armies supplied, with gasoline for the everything motorized, winter uniforms (no proper planning had been done for this), and other needs was overwhelming due to the sheer logistics of getting materials from the U.S., having working ports to receive the supplies, and then getting them to the front. Although the American army had expanded by this point to many millions of soldiers, there were often not enough men, not enough training for the men, and not enough time for replacements troops to be brought up. While we often think that the American army was largely made up of riflemen, there was actually a shortage of men trained and ready to do that most critical, dangerous, and necessary task in battle. Even more potentially damaging than the shortages were the personality conflicts. High marks are often given, as deservedly so, for General Eisenhower’s ability to keep both the Allied coalition together and keep his own generals on track. The worst offenders were the French. General DeGaulle, as well as the other French generals, were determined to offset the shame of France’s defeat in 1940. They depended on the good graces and material supplies from the United States and Britain, yet they balked and complained and often threatened to go their own way. They were, in short, rather insufferable. British General Bernard Montgomery was another thorn in Ike’s side. 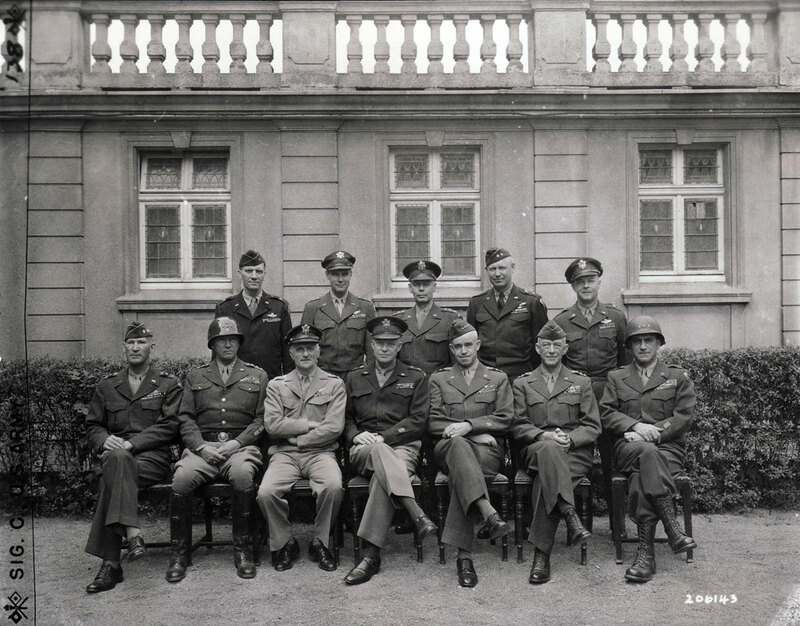 Eisenhower said of him, “…a good man to serve under, a difficult man to serve with, and an impossible man to serve over.” None of that is to imply that the American generals were without fault or that Eisenhower’s judgment was impeccable. It is amazing that Eisenhower, with all the stresses he endured along with the millions of cigarettes he smoked, was able to live through the war and go on to serve in many capacities for about 25 years beyond World War II. 1. 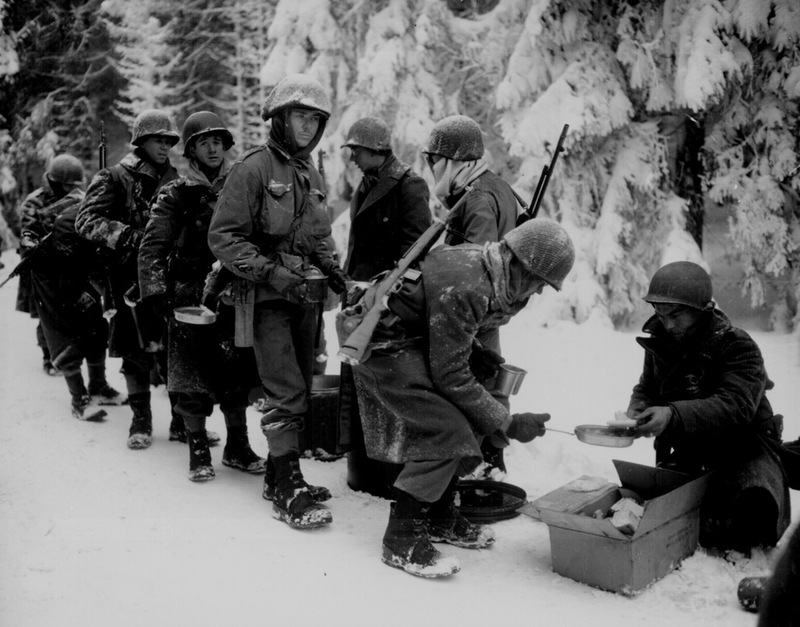 The Ardennes Offensive, often called the Battle of the Bulge, was an intelligence disaster, but a long-term benefit to the Allied victory. 3. The capture of the standing bridge at Remagen and the crossing of the Rhine River ranks as one of the great battles in history. 4. The revelations of the Nazi atrocities in the concentration camps was then and continues to be one of the most compelling reasons why this war to exterminate Naziism was so vital. 5. Even in the last month of so of the war, when German soldiers were surrendering by the thousands and the war was basically won, 11,000 American soldiers died in Europe. One last major point: While I read this book, I was more consciously aware of an uncle of mine, Clebert Moles, who was with the American army from Normandy to the end of the war. I knew him as a man who suffered from many internal and externals battles, but I knew nothing of what preceded and largely caused his life struggles. This book reminded me that he, along with countless others, who were killed, wounded, and scarred by the war, were heroic. A minor point: I am a stickler for nice hardback books, dust jackets included, and I handle my books like fine China. But I discovered that my copy of this book is coming apart with a major break in the binding. Alas, I will have to procure a replacement. 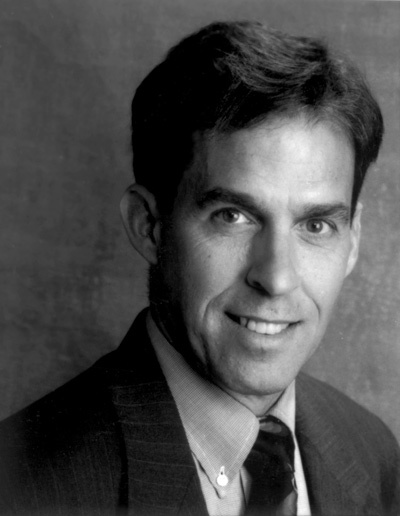 A final point: Rick Atkinson’s next project is a 3 volume set on the American War for Independence.